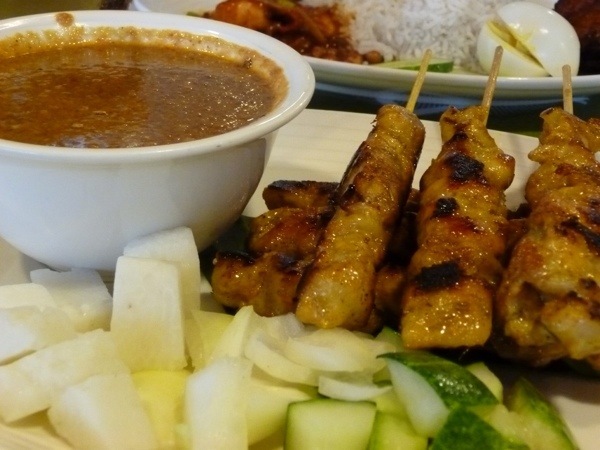 Malaysia has an interesting mix of cultures all with distinctive culinary traditions. Being fans of many different cuisines, we were right at home. 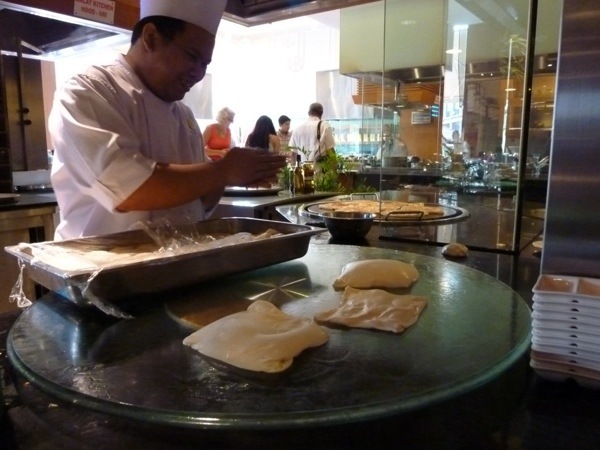 As mentioned in a previous post, our hotel in Kuala Lumpur has a dedicated roti chef making fresh roti at breakfast each morning. He was a very busy guy and they could easily have had two roti stations to keep up with demand. 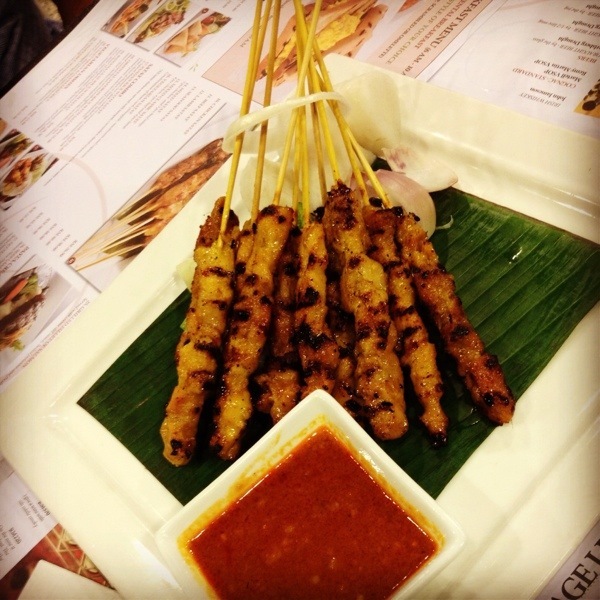 We had a few lots of satay and I can’t decide which were the best. We ate Nasi Lemak on a few occasions and this one was quite special and well presented. 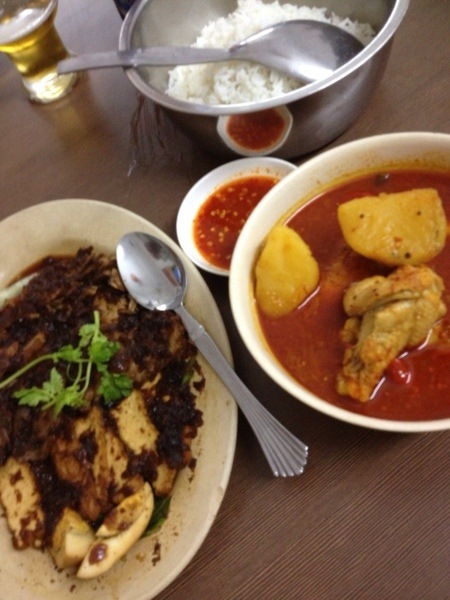 The Nyonya food at a place called Nancy’s was interesting and tasty. Roo had a roast pork loin dish with a sort of caramelised onion and star anise sauce. I had an aromatic chicken curry. Both were quite delicious. Asian desserts are quite different from western desserts as a rule, but we found the sweet things to be quite delectable. The pineapple tarts that we found in Melaka were hot from the oven and quite ‘westerner-friendly’. The more gelatinous items with pandan leaf, coconut or raw sugar cane syrup are subtle and have a foreign texture, but we had tried some at home and enjoyed the contrast. Overall, the food experience was excellent. 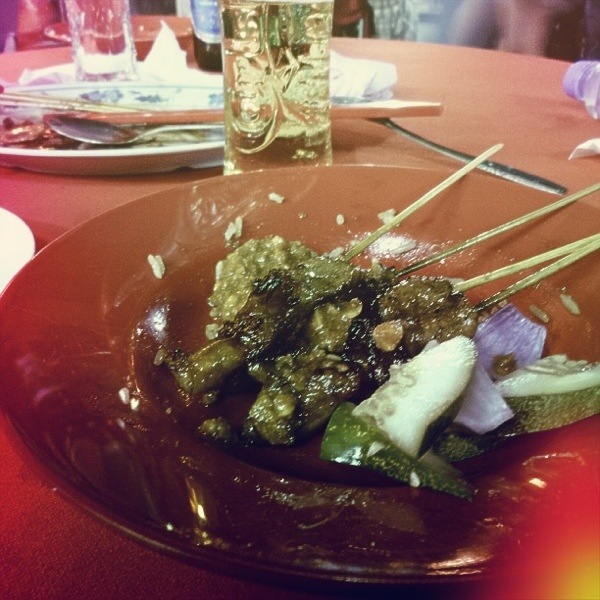 We also ate Chinese meals in Chinatown in KL and in Melaka, mainly Chicken Rice and variations on it. 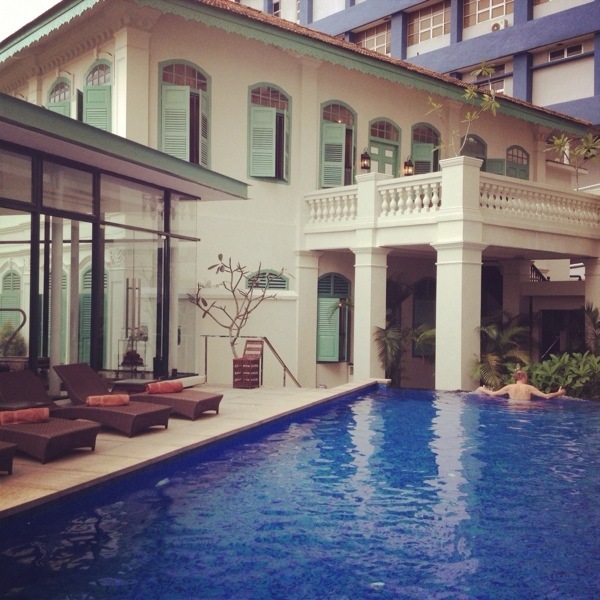 After a few days in KL we are having 3 nights in Melaka. We decided to avoid the whole Christmas thing by staying on in a quieter town where we could just relax a bit. 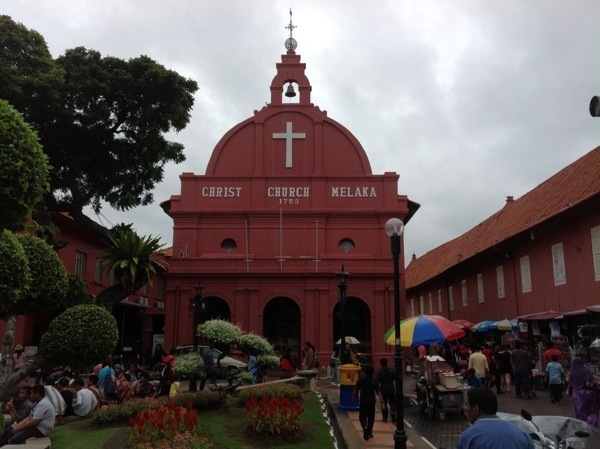 Melaka does have a reasonably sized Christian community, of Chinese, Tamil and Portuguese descent. 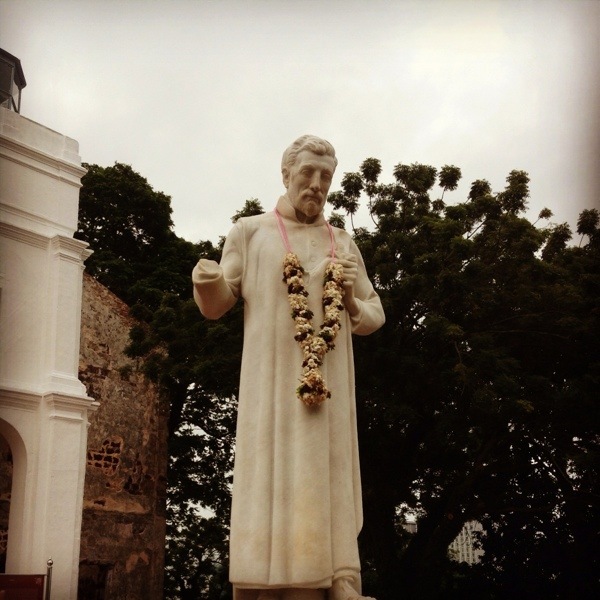 St Francis Xavier Church was in full swing last evening for Christmas Eve services and the old Dutch Christ church in Dutch Square was going off this morning when we walked by after brekky. We have been following the river walk path way to get into town from our hotel about a leisurely 20 minute stroll away. 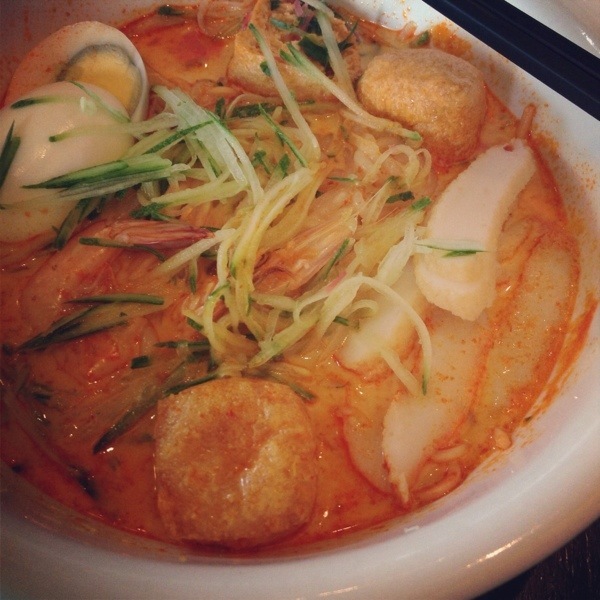 The food here has some interesting twists on standard Malaysian food with the Nyonya culture adding its unique flavours. Nyonya, or sometimes Nyonya-Baba, refers to the intermarriage of straits Chinese (Melaka is on the waterway known as the Melaka Straits) with local Malays. There are variations on this with Tamil Indian/Malay and Portuguese/Malay heritage. We were also recommended by a local who lives in Adelaide (thanks Anne) to try the Chicken Rice Ball, a variation on what we know as Hainanese Chicken Rice but with the rice served as ping-pong sized balls. It hit the spot at lunch today. I am on the third lounge along! Photo taken earlier today before breakfast. 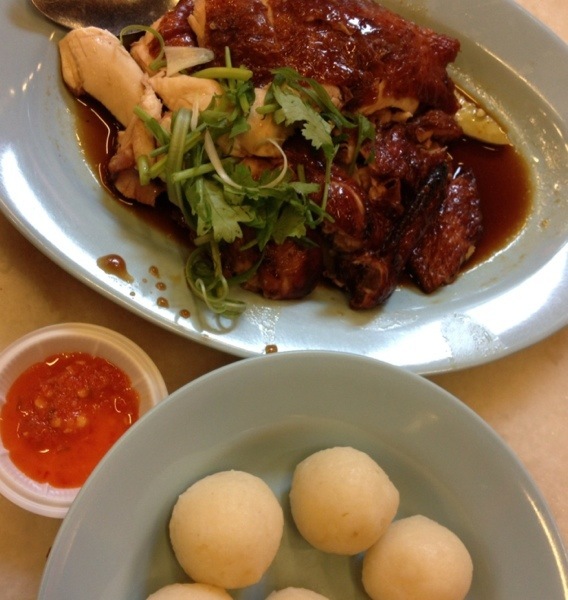 Roasted Chicken and Rice Balls – Yummy!